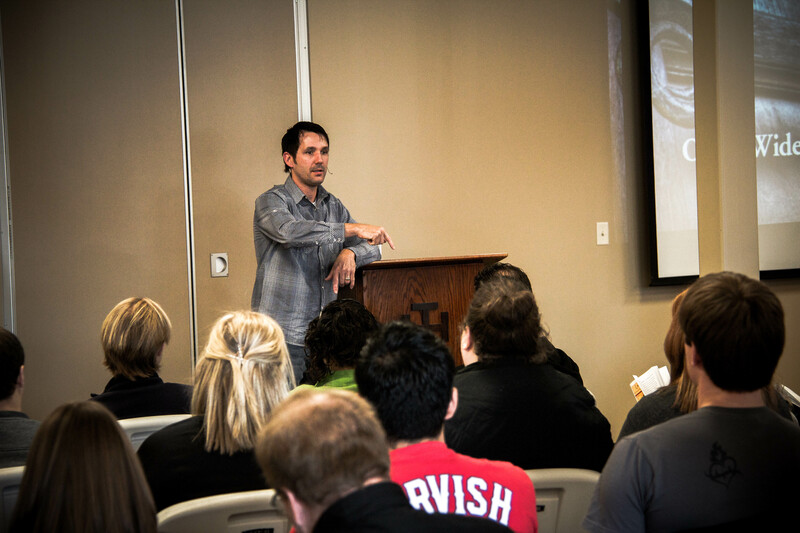 21CenturyPilgrim – Eric Neubauer sharing at a retreat. Recently I was asked to give a series of reflections on the Sunday gospel reading. It was a blast – gathering with young professionals who were all there for one reason…a desire to encounter Christ. We gathered at a local parish, Mary Immaculate, worshiped in song, spent time in silent Adoration, reflection and conversation. Led by Tom Grossman Jr., the founder of Communities of Prayer, it was exactly the atmosphere I (we) needed after a hectic day of work. Embraced by the silence, filled with the real presence of Christ in the Eucharist, and joined together in one accord with those assembled – it was a truly wonderful night. Today, I would like to invite you to join us through the 21CenturyPilgrim YouTube channel to take the challenge. Take 15 minutes to listen, answer the questions posed and decide whom you wish to emulate. Allow the power of the gospel to transform your life!